ALS or Amyotrophic Lateral Sclerosis is a disease that affects as many as 30,000 in the United States, with 6,000 new cases diagnosed each year (16+ new cases a day). 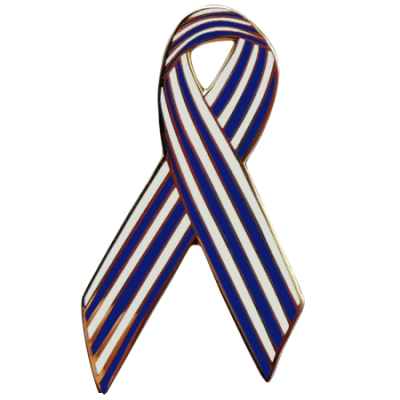 Become a part of the many supporters, victims, and others affected by ALS who wear these ALS Awareness Ribbon pins to help raise awareness, support, and funds for ALS management, medicine, and research. 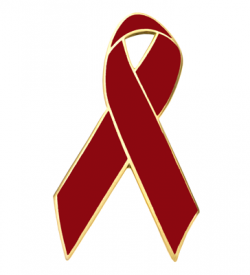 A portion of your purchase will be donated to various causes. 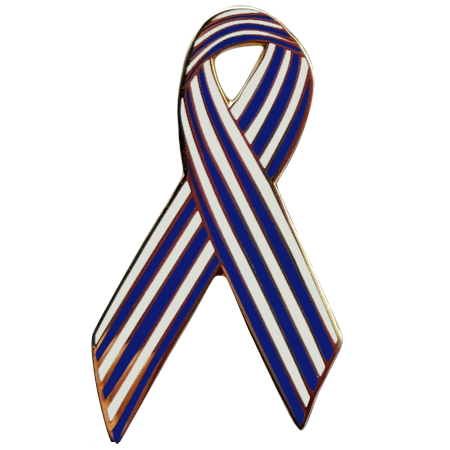 Our ALS Awareness Ribbon Pins are made of high quality brass, 1.25” with Epola enamel. They are gold/silver plated with double butterfly style metal clutches on the back. The pin is exquisitely shaped including an interior piercing, giving it the distinct appearance of an actual ALS awareness ribbon. Pin was a hit at our eventNice quality pin. Better than I expected. Everybody at our event loved them. Will be buying more in the future! Way better than our last pins!We just received our pins. They look great! So much better than our previous pins. I'm excited to hand them out! Thank you! Perfect!Bought a couple for family members. Figured it would be a good way for them to display their support for ALS patients. They are nice little pins. We are all happy with them. A Hey Jenny, They are made of high quality brass with Epola enamel. A Hey Denise, You can buy as many as you want! Many of our orders are in high quantities for events. Also, the more you buy at once the higher the discount. For what we don't have in stock, we will put right into production. This takes around 2 weeks.